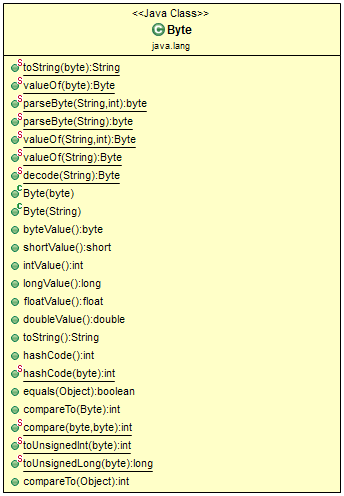 The Byte class wraps a value of primitive type byte in an object. An object of type Byte contains a single field whose type is a byte. In addition, this class provides several methods for converting a byte to a String and a String to a byte, as well as other constants and methods useful when dealing with a byte. Byte(byte value) - Constructs a newly allocated Byte object that represents the specified byte value. 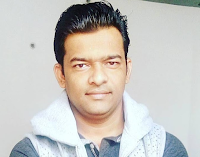 Byte(String s) - Constructs a newly allocated Byte object that represents the byte value indicated by the String parameter. The class diagram shows a list of APIs/Methods that Byte class provides. In this post, we will learn a few important methods of Byte wrapper class. Example: This program demonstrates usage of Byte wrapper class methods.